Home LandlordZONE Update London Property: Which Boroughs Have The Most Pests? London Property: Which Boroughs Have The Most Pests? As a property owner, do you consider pest control a major expense and concern? IbisWorld assesses pest control for hire in the UK to be a £367m business. And these numbers are in term of domestic pest control only. The engine of this million pound industry are the home- and property owners who are trying to protect their investment and their health. Why are we spending so much money on this service? An experienced landlord must know – without proper pest control, your property loses value, quickly. Termites, wood worms and carpenter ants compromise the structural integrity; pigeons corrode the outsides of the building; mice ruin the wiring and all the rest make the place a lot harder to rent out. Pest vulnerability varies from one property to the next and the factors are many. Location might be one of them. A new research of London property shows some of the boroughs undergo more pest infestations than others. Those are, in fact, the boroughs closest to the centre of London and with the highest population density, the worst being Tower Hamlets, Lambeth, Wandsworth and Southwark. There are several other maps that show the boroughs by their ‘mascot’ pest – for mice, bed bugs, cockroaches, moths, and fleas. The map reveals thought-provoking data. 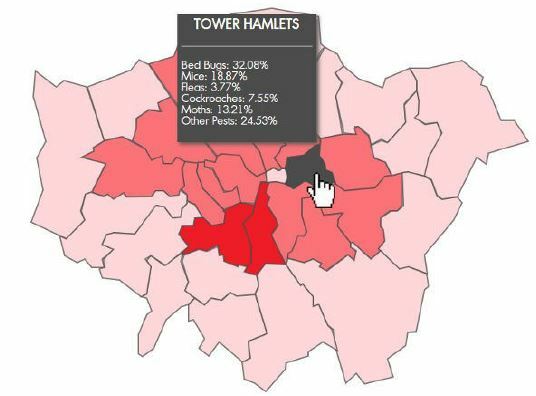 How does it happen so, that Sutton and Richmond, for example, have very few reports of mice infestations, while Lambeth, just a single borough away, is the deepest shade of red on the mice map? A fundamental distinction between the London boroughs, location aside, is government. Each borough has its own council, which allows for differences to arise in areas like urban waste removal, urban pest control, sewerage and sanitation. 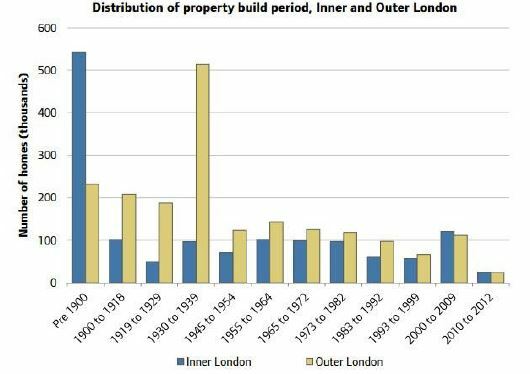 Another reason why Inner London is suffering more could be housing. Historical buildings are more susceptible to pests as they offer damp and humid conditions for their population to boom in. Nonetheless, if a property is in an area with high rates of pest activity, that alone makes the place vulnerable as well. What does this mean for London landlords? It means an inspection should take place regularly. Many types of infestations are not noticeable until they have become much larger and much more expensive to treat. When taking part in a rental business, a pest control agreement should be made between the landlord and the tenant. It’s not uncommon for tension to arise when, some time into the tenancy, the property becomes pest-infested. It’s best that matters like ‘Who will pay for the exterminator?’ and ‘Who’s responsible?’ get straightened out early on. Tenants also need to be warned about pest security measures. Fleas and bed bugs, for example, are easy to attract from an outside environment and very hard to get rid of once they’ve already settled in. What’s to become of London property? London property and urban territory is facing a serious risk of pest control unsustainability. With over 3.3 million rats in London, the pest population boom affects a huge amount of property, including high-price property in Inner London. There is a fervent need for the city to come up with a holistic approach with the help of councils, landlords and tenants. Next articleWhat Personal Finance Lessons Can We Learn from the Eurozone Crisis?